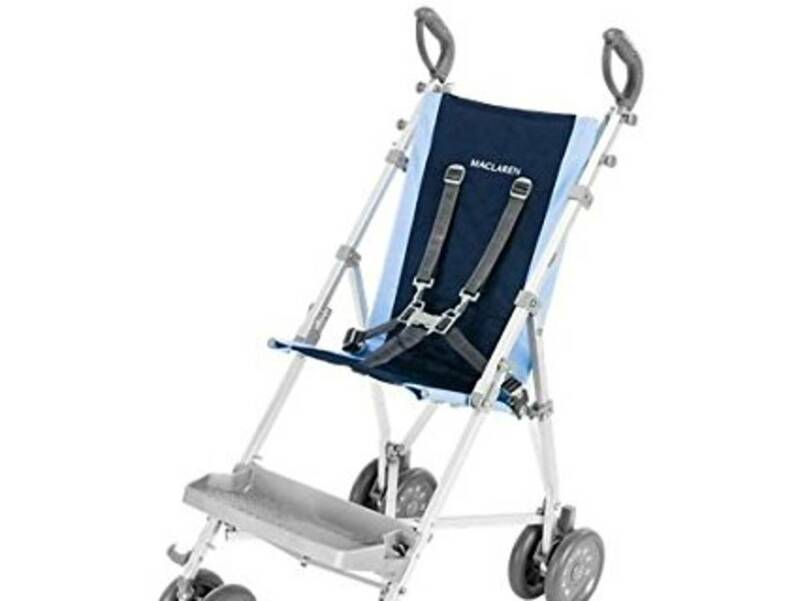 Equipped with a 5-point harness, padded seat and a footrest, this transport chair is easy to steer. . Supports children up to 90 lb.